What fun! You all look to be having a blast! Aww haha this is awesome! My little ones love The Gruffalo! Fab photo, the fact that you are all looking at the camera means you are nothing short of a miracle worker in my eyes! 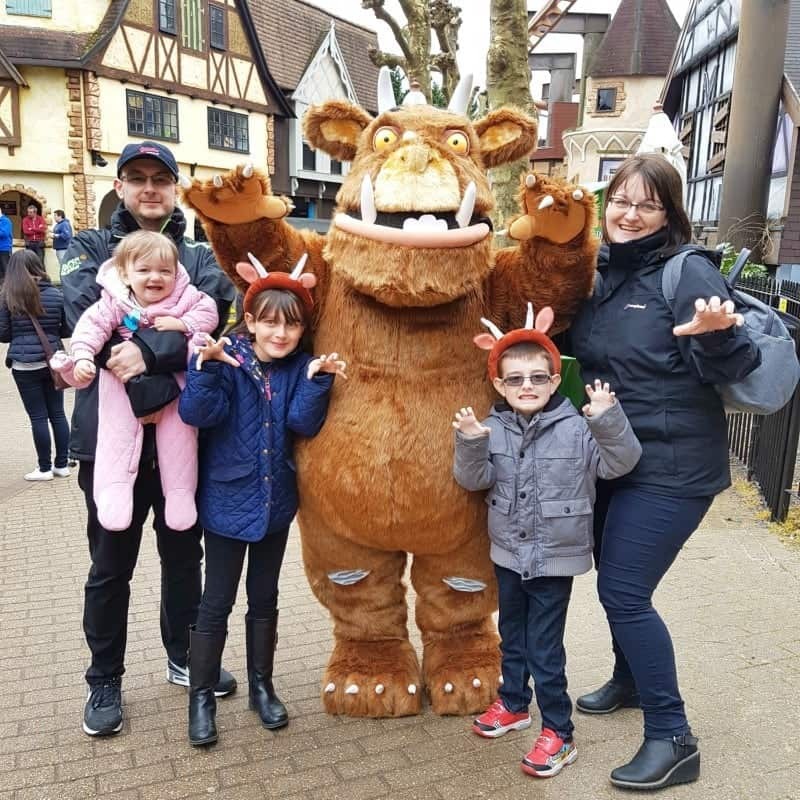 My girls would love to meet the Gruffalo, hope you all enjoyed! Very nice photo. Hope you had a great time together. Haha looks like a fun day! I don’t think we have ever been to Chessington? Somehow it seems to have slipped our radar? !